Smoking food is easy, and Char-Broil makes it easier with its multipurpose and dedicated smokers. All models require the same care and maintenance; the main differences between the models include heat and power sources. 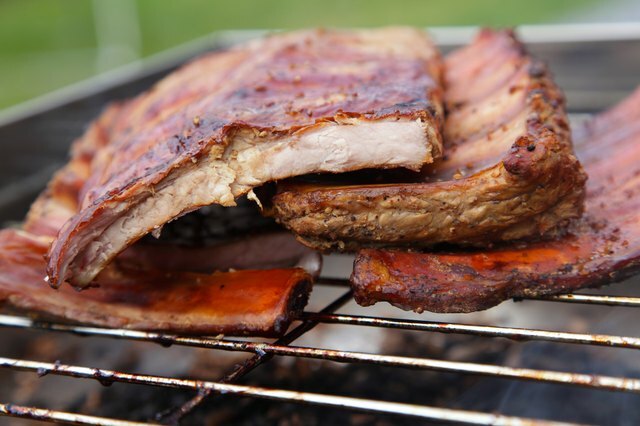 There's a different starting mechanism for each type of smoker, but you smoke food the same way on each -- to a safe minimum internal temperature. Char-Broil smokers are classified into types according to their fuel: electric, charcoal and gas. The electric smokers have a cylindrical cooking chamber and use a heating element to burn the smoking wood. The Tru-Infrared smokers have an infrared heat source that needs electricity for power. Char-Broil offset smokers use charcoal, and gas-powered smokers use propane. For Char-Broil offset smokers -- the 430-Series, Oklahoma Joe's Highland Grill and Smoker and Offset Smoker Charcoal -- you use lump charcoal or charcoal briquettes to create smoke in the firebox, which transfers to the cooking area through a damper. Char-Broil offset smokers don't have a reverse-flow feature that incorporates a convection plate -- a piece of metal that conducts heat from the firebox and directs the flow of smoke under and then over the food before exiting the chimney -- so one side gets hotter than the other. Fill the firebox pan with charcoal and light it; don't let the charcoal touch the walls of the firebox. Open the damper 1/4 of the way and close the firebox door. Let the grill heat for 2 hours, adding charcoal as needed to sustain the fire. 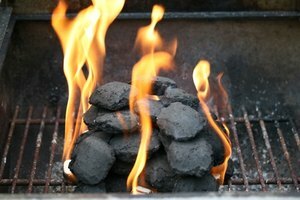 Sprinkle dry wood chips or wood chunks on the coals after 2 hours, and add the food to the cooking grate. The gas-powered Char-Broil Tru-Infrared The Big Easy Starter Kit, and the electric The Big Easy 2-in-1 Smoker each have an infrared heat source to create smoke. Infrared smokers pack a lot of power; The Big Easy 2-in-1 Electric heats to 525 degrees Fahrenheit within minutes. Unlike offset smokers, Char-Broil Tru-Infrareds smoke from the bottom up, so the smoke has a direct path to the cooking chamber, and the food cooks more evenly. Start The Big Easy Starter Kit by turning on the propane cylinder. Rotate the control knob to High and turn the ignition knob rapidly; add wood chips to the smoker box. Start The Big Easy 2-in-1 Electric Smoker by turning on the control panel and setting the desired internal temperature of the food; add wood chips to the smoker box. Arrange the food on the cooking grates after the smoker heats for 20 minutes. 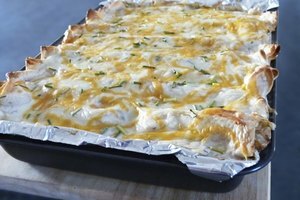 Allow 1 inch of space between each piece of food. Char-Broil's electric and gas vertical smokers, the Vertical Electric Smoker and Vertical Gas BBQ and Smoker Oven, are like large meat closets -- designed to handle a lot of food, these models measure over 3 feet tall and almost 2 feet wide. These are the best choice for smoking a large quantity of food, but a real space eater if you only smoke food occasionally. Fire up the Vertical Electric Smoker by turning on the control panel and setting the desired internal food temperature; add wood chips to the smoker box. Start the Vertical Gas BBQ and Smoker Oven by first turning on the propane cylinder. Next, turn the control knob to High and turn the ignition knob rapidly; add wood chips to the smoker box. Load the food on the grates after the smoker heats for 20 minutes; space the pieces of food at least 1 inch away from one another. Coat the smoker's cooking grates with vegetable oil and bake them in your oven for 45 minutes at 350 F before using them. Scrape the grates with a stiff wire brush, and coat them with vegetable oil each time you use the smoker. Oil the smoker's cover and door hinges and protect it from the elements with a cover. Remove the ashes after you're done with the smoker, and deposit them in a dedicated steel can or bucket; ashes can stay hot for 24 hours after the charcoal burns out. 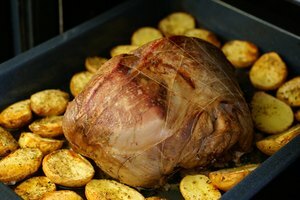 Smoke food at 200 F until it reaches a safe internal temperature: 165 F for poultry and 145 F for beef, pork and fish. 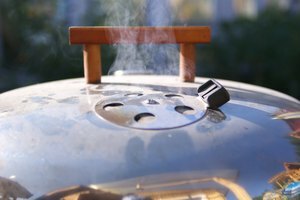 If you have an electric model, the smoker will shut off when the food reaches the internal temperature you entered on the control panel. However, the smoker only estimates the internal temperature, so always double check with an instant-read thermometer. Char-Broil: What Can I Do to Keep My Smoker Clean and Working Great?